It’s safe to say that chocolate is one of the most desired sweet snacks in the world, but everybody has their own preferences on the great milk versus dark versus white debate. You’ll get some people who argue that if it ain’t 85 per cent cocoa then it ain’t chocolate, and then you’ll get some who swear by their Milky Bars. But there’s officially a new kid on the block, and it’s coming to the UK very soon. 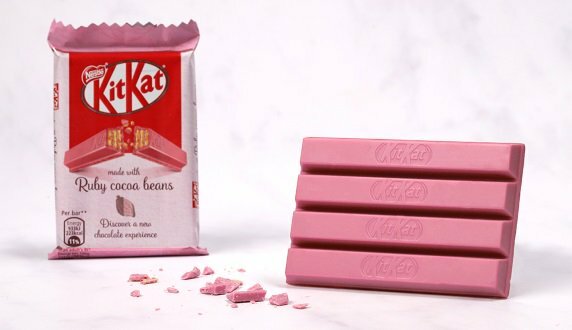 The newly invented fourth type of chocolate – Ruby chocolate – is heading to our shops, in the form of a KitKat bar which is wrapped with the good stuff. The chocolate is naturally pink, and was created by Barry Callebaut, one of the world’s largest cocoa manufacturers, last year after years of research. The recipe for the Ruby chocolate is a trade secret, which means there’s no way of knowing how they’ve created the pink hue to the cocoa, but there are rumours circling. What we do know is Ruby chocolate is made from specially selected cocoa beans. These beans have been called Ruby beans by Barry Callebaut. The beans go through a unique process to unlock the flavour and colour tone naturally present. 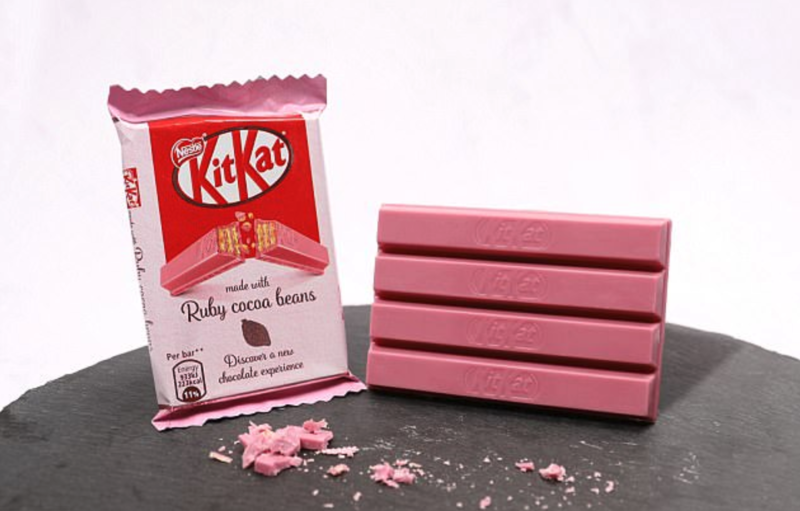 Nestlé were among the first to sell the new type of choc to consumers over in Korea and Japan after launching the Chocolatory Sublime Ruby KitKats. And now, as of next week, the bars are heading to the UK, which marks the first time British consumers can get their hands on it. 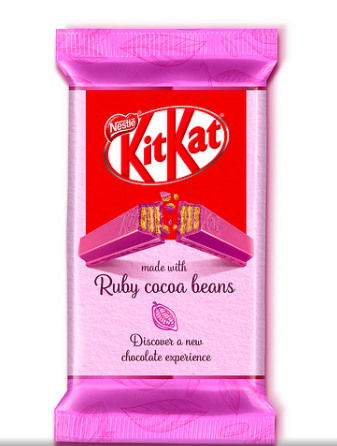 The KitKat bar is similar to the ones we all know and love, but will be coated with the enticing Ruby chocolate. They will go on sale in Tesco, exclusively, from Monday April 16. In terms of flavour profile, the new chocolate is supposed to have a strong natural berry flavour, which doesn’t come from any added ingredients. 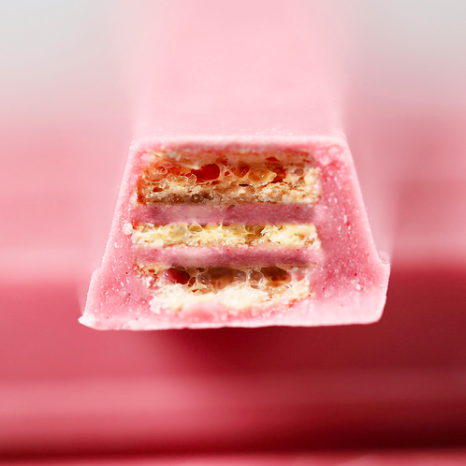 I am very pleased to see the result of our partnership with Nestlé – the iconic four-finger KitKAt made with our Ruby chocolate. Consumers across the world will be intrigued by the unique taste of this crispy delight! Following the launch in the UK, the chocolate will be rolled out to markets across Europe and the Americas.